The first bit of this level is kinda empty, just fly forwards past several lava bursts until you go down a slope and some Grublins attack. Kill them if you want to and then advance a bit further forwards towards what looks like a fork in the path. Some barriers will appear behind you and further ahead, in order to continue onwards you'll need to kill all of the enemies that will appear. The first wave will be a few Grublins and a few Orcs, the second wave however replaces the Grublins with a large purple enemy that will require a bit more effort to kill. Once you have done so head towards the save point beyond where the far barrier was. Carry on forwards and around the corner, as you approach the far end you'll be blocked by barriers again. Luckily this time it's just a bunch of Orcs. Once the barrier lowers fly on down the lava river to where there's what looks like half a stone bridge sticking out on the left. Fly up to it and go through the tunnel there. Right at the end of this path you'll be confronted by an Elite Enemy. Usual tactics, check out his mask and use the appropriate element to smash it first. The main problem is that the area doesn't have any gem clusters for you to refuel and if you leave it will reset so make sure to have full magic and health when you start the fight. And of course the easy way to win is to use your Fury. Once you do defeat the Elite and Red Life Crystal will appear at the far end. Head back out to the lava river and follow it all the way down to the far end. You should find a large platform with a small purplely glow in the middle. Defeat all of the enemies on this island, a load of Orcs at first and then one of those large ones, to make a chest appear, inside is Spyro's final piece of Armour, a Helmet. This will complete the Fury set which you can use to make any fight quick and easy. Head back down the river a short distance and you'll find another island with a purple glow in the centre, this one already has the only enemy you need to kill on it. Once it's dead a Green Magic Crystal will appear in the middle. Fly down to the lower large area below opposite where the Elite was and you should find a Blue Gem Cluster on the edge. Go around the lava burst here and you'll find a Red Life Crystal directly ahead of you. Head left around some rocks to another Blue Gem Cluster. Go a bit left and there's a third Blue Gem Cluster over by the wall ahead. Go a little to the left now and some barriers will rise up. Kill the Grublins that attack and a pair of those large enemies will appear. A perfect time to use your new Fury Breath if you've got it, otherwise you'll have to do it the old fashioned way. Once you've killed them both the barrier will go down. And immediately some Grublins will appear. Over in the far corner you'll find one more Blue Gem Cluster. Fly down the river of lava on this side near that last cluster and follow it down underneath a tree that's leaning over the river. The camera seems to go a bit weird here but keep going and you'l round the corner into the next bit. As you get further in a brief showcase of the area will be shown, once that's done go to the right past a small island of red and green gem clusters and into a cave where a Troll spawns, along with a few Orcs. In the far corner you might also notice a purple crystal. 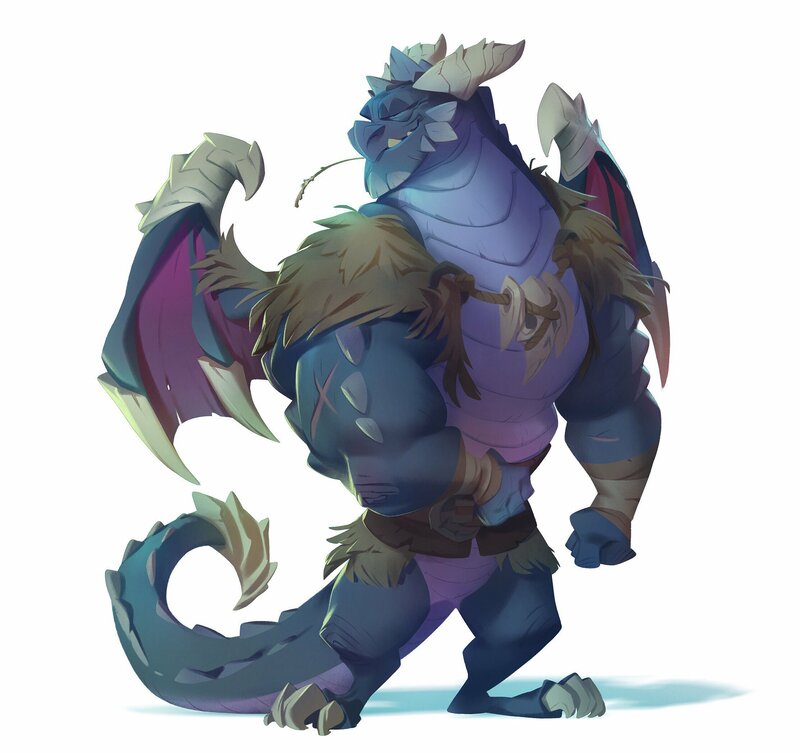 Kill the enemies in here and then smash that crystal to reveal Cynder's final piece of Armour, some Tail Armour to finish off her own Fury set. Turn around and fly back out, flying along the wall on the right and you'll find a Green Magic Crystal on an outcrop along it. Continue along and you'll reach the platform at the bottom of the climbing zones. Kill the enemies that appear and then push over the tall rock in the corner, you should be able to see the purple glow at the bottom of it. Jump up onto the bottom of the purple climbing zones and start making your way upwards. Now is a perfect time to use that quick jumping technique as you're going to be doing a few sideways jumps. You don't need to swing at any point, you can make the large jump at the top right easily. Head off to the left at the top (don't go right, you'll just fall down) and save the game. Follow the platform along and kill a pair of Orcs that appear. Keep on going along the platform until you get to another pair. Smash the first Blue Gem Cluster up here but then jump off to the left (or right, doesn't matter) and you'll land next to a Green Magic Crystal. Jump down into the area below and make your way all the way back up to the bridge where you can now smash the other Blue Gem Cluster a bit further along it. At the end of the bridge glide fly over the gap and onto the next platform. As you go further forwards a barrier will appear all around you and a pair of Trolls will attack. Once they're dead the barrier will vanish and two Blue Gem Clusters will appear. Smash them and the other two Blue Gem Clusters on this platform to finish off the collectibles for the level. To finish off the level simply walk along the path ahead of you until you pass the final pillar. The next level takes place on the Floating Islands. Wenn man bis jetzt keine Kombos beherscht sind diese verdammten Golems sehr schwer zu besiegen. this level is soooooooooooooooo hard i keep dieing at the 2 big monsters theirs no way i can beat it!!!!!!!!!!!!!!!!!!!! Those orcs are 1 of the most difficult part of the game! This level is pretty difficult for me...the fury helped me through! Forgot to mention, if you keep a safe distance from the other big guy, and stay in the air, then he won't attack. Well, as for the two brutes at the end, I've got a pretty nice tactic that teems to be working most of the time. You will need for this. First, fly up to the air. Now zap that big fella with some elecrticity. Then attack 4 times with light attack IN THE AIR. Then zap again and hit him again. Repeat until it collapses dead. A nice amount of fury can be stacked up this way. You can do a combo of 200 if you're doing it right. Must be less with attack armor set. I'm using Defense set so I can keep attacking even when being attacked constantly. As for the elite, get his helmet down (watch the color and shape of his helmet), then activate fury mode. One full blast is far enough. If you don't happen to have enough fury, same way as the brutes. Just keep his weapon on the ground. I wish you could stay in s Dark Form!! Or that it could be a special combo ability! Like when you got the mana set and did fury you turned into Dark ! That would be awesome! That would epically kill ! Same with , she could go dark as well. But both only in furies with the mana set on! those huge guys with the spike ball taiil and club ARE SO HARD the only way I could defeat those guys were to use convexity! Speaking of convexity; Spyro gets convexity but cynder gets what? I CAN NOT BEAT THE 2 ORCS AT THE END AND I HAVE SPYRO NEARLY FULLY UPGRADED WITH NUCLEAR HIT ARMOR COMBO! Should I switch helmet to defense? What I hate about this level is that when I go to the enemy then leave for more health,I come back and have to start all over again!Someone please please please help me!!!!!!!!!!!!!!!!!! its easier with fury breath like the elite enemy is. well we all know that but yeah just 4 those who don't know and clcik on armour to see where all the armour is and then if u don't have the fury breath armour u can find it! but this took me 4 EVER to do the trolls at the end are sooo hard. this is such a hard lvl! it was impossible to me until i found this walk through! like i couldn't find the next part until i looked through this and i was like ohhh so you turn right and the end of the lava thing where the camera goes all weird.